Tormented by her growing visions and unable to bear her companions any longer, Dasha has fled into the woods with the spirits who have promised to help her. But not all promises can be kept. Dasha must strike off on her own and learn to fend for herself for the first time in her life. With war on the borders of Zem’, the woods hold more dangers than bears, wolves, and hunger, and Dasha’s greatest threat may be within her. Can she learn to control herself and her magic before she endangers herself, her companions, and perhaps her country itself? And what price will that control demand? How much will Dasha have to sacrifice in order to save herself and her land, and will that sacrifice be voluntary—or not? “The Breathing Sea II: Drowning” is the sequel to “The Breathing Sea I: Burning” and a continuation to The Zemnian Series. 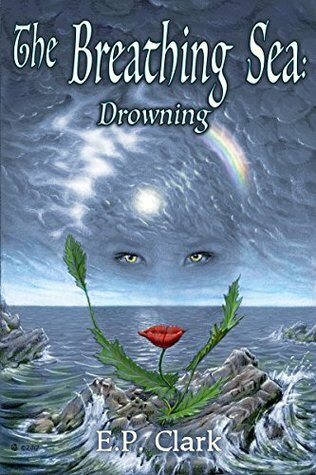 I was pretty excited to review The Breathing Sea II: Drowning. I had reviewed The Breathing Sea I: Burning and enjoyed reading it. I had high hopes for The Breathing Sea II: Drowning and the book more than exceeded them. The Breathing Sea II: Drowning picks up from the end of The Breathing Sea I: Burning. Dasha is with the domovayas. They are going to teach her how to control her magic. Magic that is getting out of control. She decides to leave the domovayas to find her companions and find someone to help her control her magic. When she leaves the domovayas realm, she is in the middle of the forest. She is aided by people and spirits alike in her search for not only her traveling companions but how to control her magic. She also runs into situations that she must overcome by her wits and magic. She learns some hard lessons before reuniting with her companions. But there is more strife and intrigue when she reaches the safety of Lesnograd. She must prove to her sisters, father and traveling companion that she is in control of her magic. Can she? Or will she fail? Dasha drove me nuts for most of the book. I thought she acted like a spoiled brat over and over again. She could have learned how to control her magic with the domovayas. Instead, she took the hard way. While she drove me nuts, I did feel bad for her also. She had a lot of pressure on her to control her magic. She also had pressure from her sisters on what to do with the raiders that were kidnapping her people. No matter which way she thought to go, she was wrong. She did come into her own at the end of the book and it was marvelous to read. I loved how the author brought the characters from the last book into this one. Usually, in epic fantasies like these, there is always some sort of awkwardness when it comes to reintroducing characters. Not here. It was like the book never ended. I loved it!!! I loved the fantasy aspect of this book. The author did a great job of intertwining Russian mythology with fantasy. Everything was vividly written. I loved it when a book can draw me in and make me forget where I am. I am going to warn everyone that this book is long. It is 606 pages. It took me 5 days to read it. But it is worth the read. The end of The Breathing Sea II: Drowning was not what I expected. I am hoping that there will be a book 5 out of this series. Dasha has so much more to give storywise. C) The raider angle. I didn’t like how it ended. I would give The Breathing Sea II: Drowning a rating of Older Teen. There are no sexual situations. There is mild violence. There is no language. I would recommend The Breathing Sea II: Drowning to family and friends. I would include a note of the triggers. This is a book that I would reread. I would like to thank E.P. Clark for allowing me to read and review The Breathing Sea II: Drowning.